Disney Princess Rapunzel's Color and Style Journal Just $3.99 Down From $14.99 At Sears! You are here: Home / Great Deals / Disney Princess Rapunzel’s Color and Style Journal Just $3.99 Down From $14.99 At Sears! 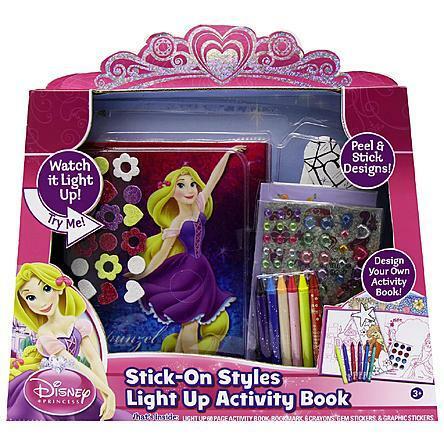 Disney Princess Rapunzel’s Color and Style Journal Just $3.99 Down From $14.99 At Sears! Sears has this Disney Princess Rapunzel’s Color and Style Journal on sale for $3.99 (Reg. $14.99)! With this awesome light up journal you can: Color & decorate the cover, Use stickers to add photos and decorate pages, Answer fun questions and write about your life! Create and design a cool book filled you’re your favorite memories and record your dreams like Rapunzel herself! Set includes 60 page journal with light up cover, 112 assorted stickers, 4 markers and 1 glitter pen.